:-((( I heard on 300 OK1NI 59 when I left radio. 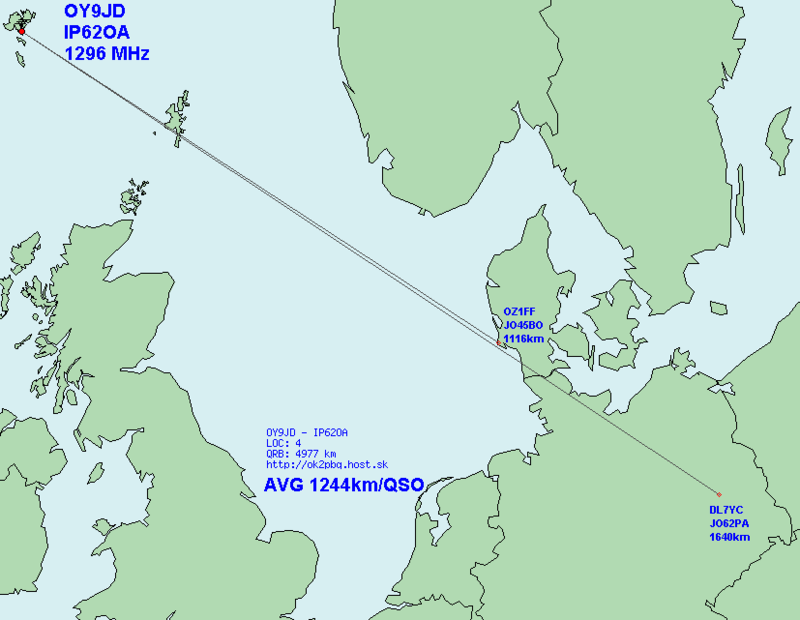 Here is my log for 2, 70 and 23 cm in the Dec tropo. My QTH is abt 100M Asl. 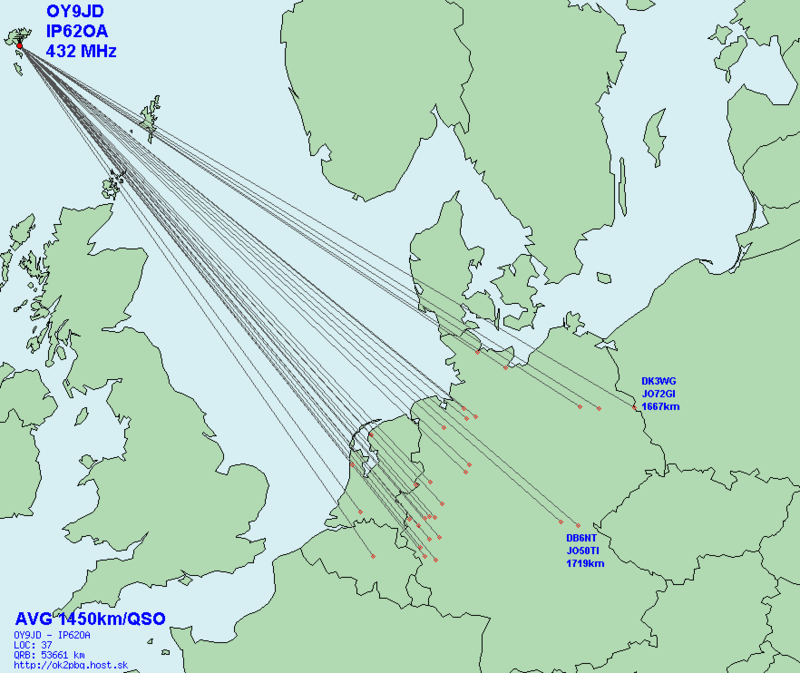 QSOs worked by OY9JD on 2 m.
QSOs worked by OY9JD on 70 cm. 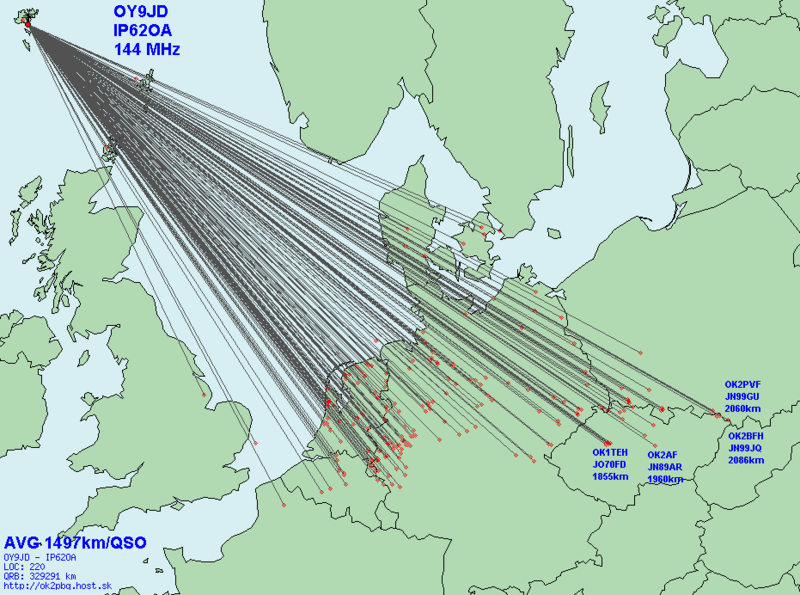 QSOs worked by OY9JD on 23 cm.